How To Get On Wikipedia ? Well, I was pondering what to share with you to start the year off right and I thought, why not about something that most of my clients ask about / wonder if they should do this / why it matters / how it can happen…and that’s having a Wikipedia page! You might be thinking, “wikipedia page? Who cares?! My website and my multiple social media profiles are enough.” Sure, it’s enough for folks to get information about you. But, a wikipedia page can open doors to verification, credibility and online reputation. It gives you a platform that not just anyone can get. NOTE – not every musician should get a wikipedia page. If you are starting out, it’s just not going to be possible to start a page. If you’ve been at it for a few years with press, mentions, performances, placements, etc., you have more of a reason to build a page and your chances are very good. You see, wikipedia requires you to prove that you accomplished some status with your music. I found as long as you can link each sentence in your wikipedia page to a press source or other Wikipedia pages, you should be able to have your own. 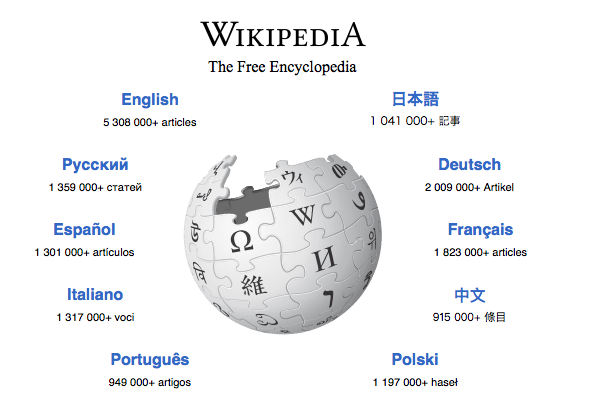 Here’s how to get started if you’re ready for a wikipedia page. 1) Sign up for Wikipedia. You can sign up yourself and create your own profile, but if you can, have someone else like a VA, family or friend sign up in order to write the article for you. Better yet, see if you know anyone who has a profile who regularly contributes. If you’ve submitted on wikipedia before successfully, you have more credibility to add more articles. If you are signing up for the first time and just getting started, walk through their tutorials, make slight contributions if you can to other articles, and get comfortable. I also recommend creating a fake name so it’s not so transparent that you are submitting an article for yourself. 2) Write out your article. Your existing biography is a good place to start – but cut down the fluff. Wikipedia does not care about your ‘sultry voice’ or ‘outstanding performance’. They want the cut and dry facts – with proof! As a performer, she’s dazzled audiences from Davies Symphony Hall, to thousands at outdoor festivals, and the prestigious and intimate singer-songwriter circuit in Nashville. She has performed at Davies Symphony Hall, the Outdoor Music Festival, Summer Music Festival 2016 and at venues like Nashville Shows and Nashville Concert House. PLUS you are going to want to be able to link to either another wikipedia page or news source saying that you performed at those places. If you can’t prove it with an outside source other than your existing bio, leave it out. Artist Name is an American singer-songwriter. You can link that to your bio as a source. It’s when you start linking yourself to venues, festivals, organizations and other people where another source is needed besides a site run by you. 3) Add your discography, videos and other credits. In addition to your intro and career paragraphs, you’ll want to then add your discography – this includes singles, EPs, full albums, remixes and videos. You can also add other fun facts if you’d like, such as where you studied, other talents (acting, teaching, etc.) as long as you can prove it! 4. Add your ‘Infobox’. This is that little box to the right with your name, image and overview. In wikipedia, it’s under Templates>Infobox Musical Artist. You will have to add your image to WikiCommons before you can link to it in your Infobox. I strongly recommend using a live or action photo, not a promo shot, and be sure you have permission from your photographer to upload it to Wikipedia. 5. Establish your page. Once published, be sure to add categories to your page so it can be listed with similar articles (or artists in this case). Also, if there is another wikipedia page you can add your name to, such as a producer’s page, an awards page, etc., add your name. The more your page is linked to in others, the better. It may seem intimidating, but I promise, if you take some time to sit with your bio and make it just how Wikipedia likes it, you can have a page up and running within a day. As a bonus, it will come up in Google search almost instantly, you can link to it when you’re trying to get verified on Twitter, and now you’ve got something to distinguish yourself from other artists online. Even if you aren’t quite there yet in your career, stash this away for when you are ready and you’ll hit the ground running getting your own wiki page up.